Perfekt i stora system om en eller några enstaka skärmar inte stödjer systemets ordinarie upplösning, plugga in och bestäm upplösningen själv. 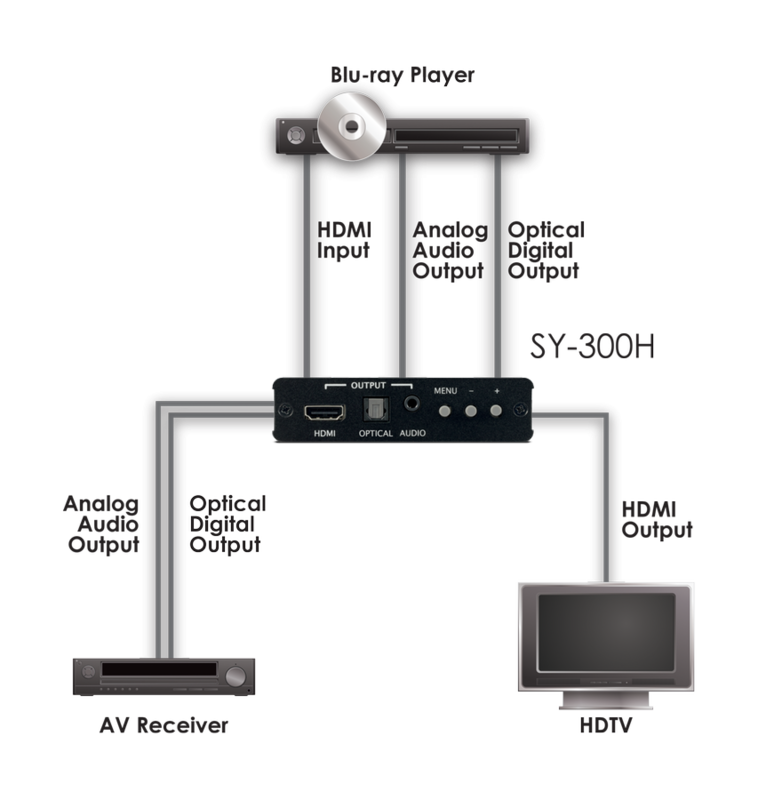 ?The SY-300H will allow a HDMI source signal to be scaled up or down to a variety of different resolutions selectable via the OSD (On Screen Display). When set to 'native' mode, the scaler will automatically scale the HDMI input signal to the native resolution of the connected screen. This device also provides 50/60Hz frame rate conversion further enhancing compatibility with AV sources and displays.